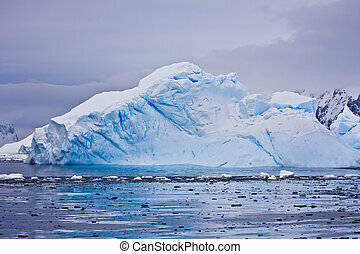 Antarctic iceberg. 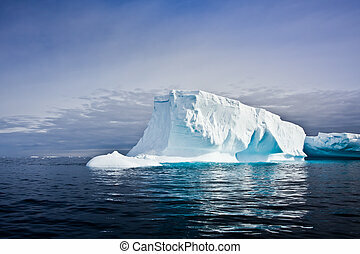 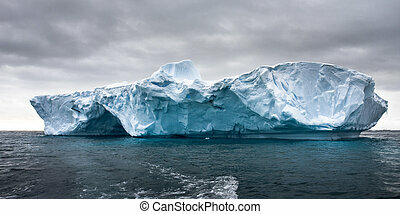 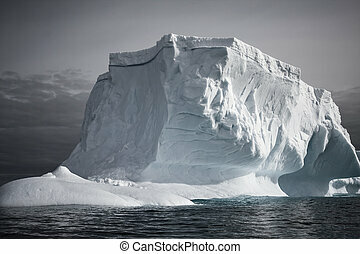 Large arctic iceberg with a cavity inside. 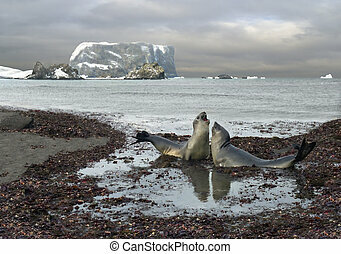 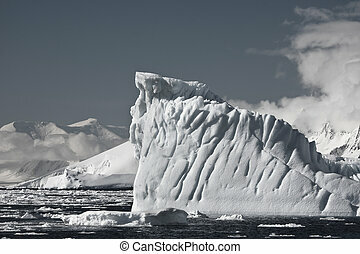 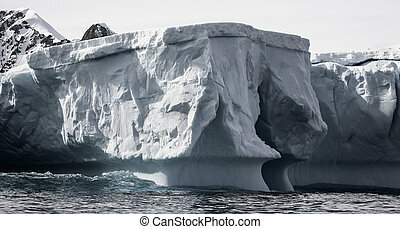 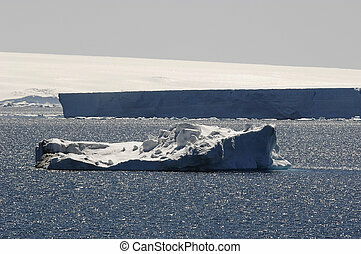 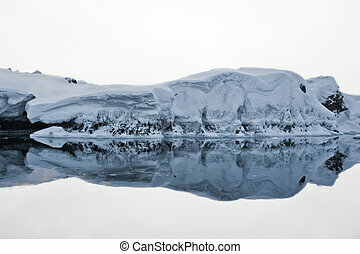 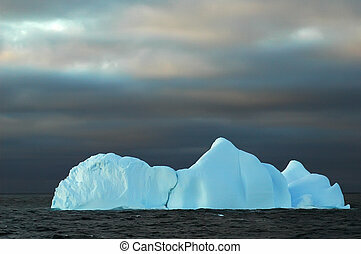 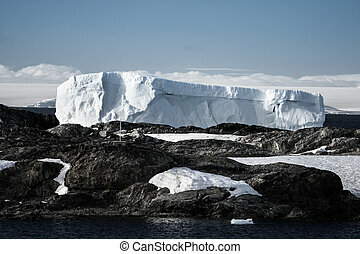 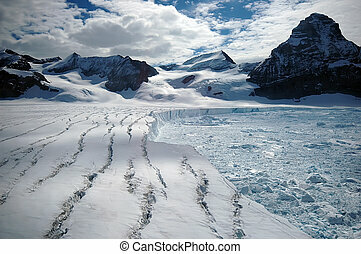 A foot-shaped iceberg swimming in front of a marvellous antarctic iceberg scenery. 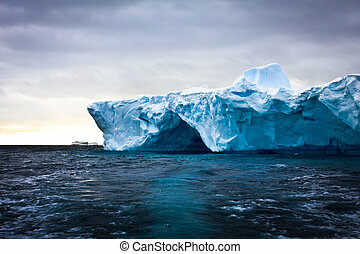 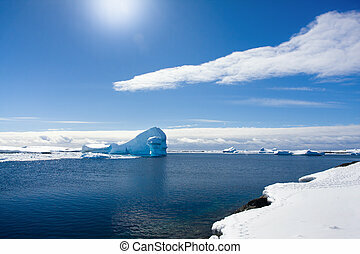 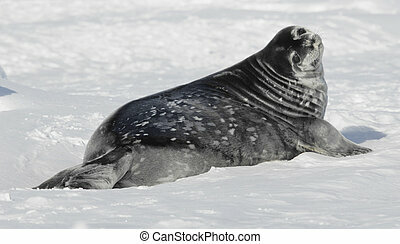 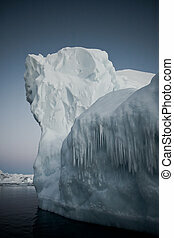 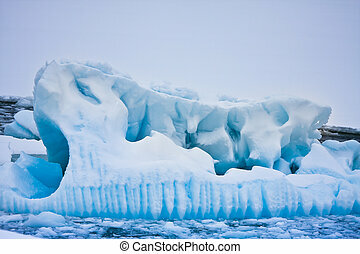 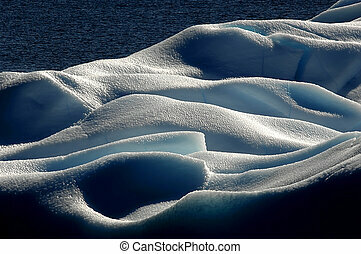 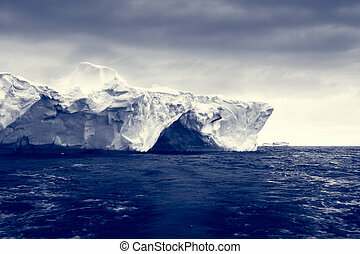 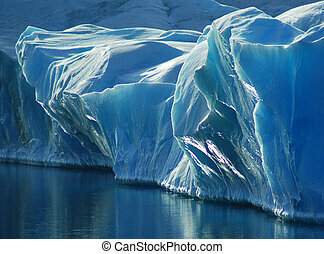 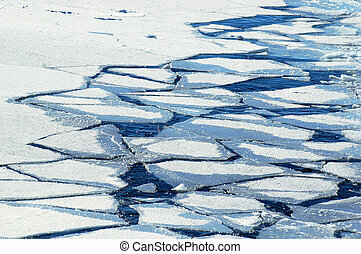 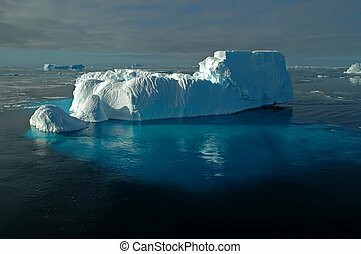 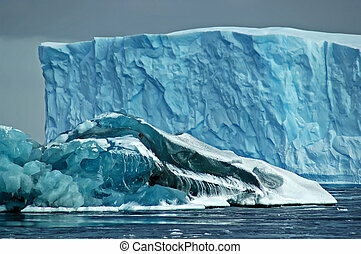 The huge underwater part of the iceberg is shimmering through the water surface in bright blue colours. 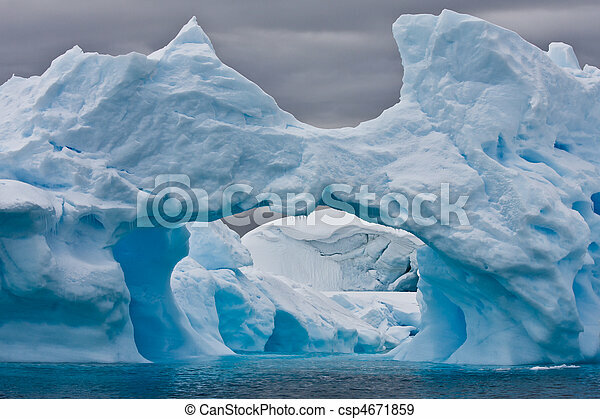 A larger blue iceberg in the background is partly hidden by a smaller so-called black iceberg in the foreground, the latter partly being covered by snow. 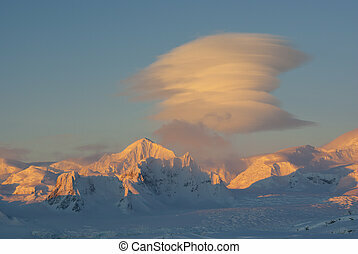 Lenticular clouds over the mountains of Antarctica. 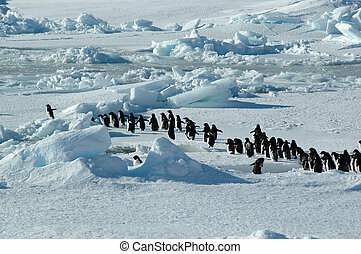 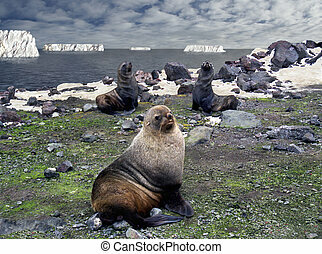 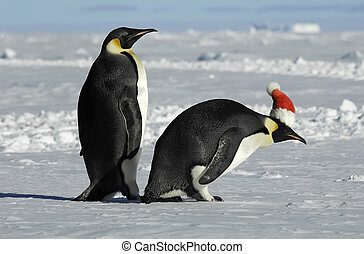 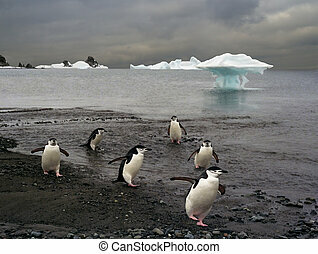 A group of about forty Antarctic Adelie penguins is led by one enthusiastic penguin on the left.